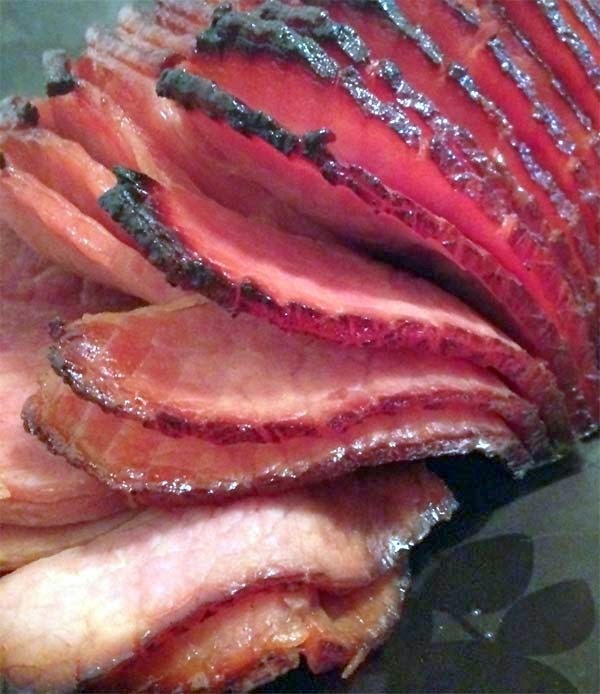 This easy recipe to bake ham comes in handy during other holidays such as Thanksgiving and Christmas as well. Wrap ham in foil and bake at 350 deg F for one hour. In a saucepan or small pot, heat brown sugar, honey and cloves until sorta runny. Pour honey glaze on ham and brush to cover as much as possible. Close foil again and bake for another hour. Glaze will likely drip off from the ham in that period so brush it from the drippings every 20 minutes or so until done. Slice into pieces before serving. Leftover ham is as yummy as they come.